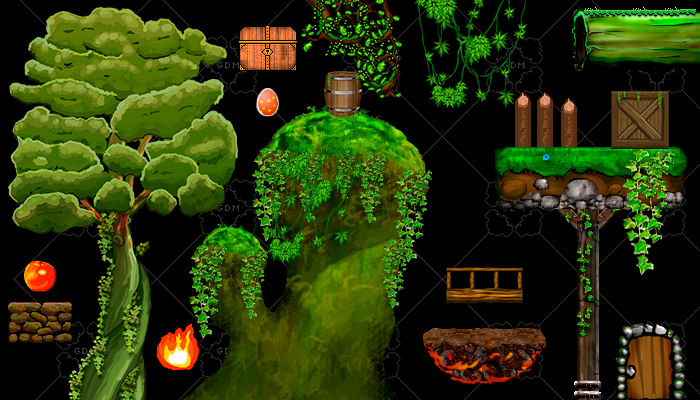 2D Game objects: trees, boxes, platforms, doors and many more. Over 100 objects. Free to use. Enjoy.